Our specialty is Ukiah CA Real Estate and Willits CA Real Estate, but we also handle the balance of inland Mendocino County, Northern Sonoma County and Western Lake County. SELLERS: As part of my pledge to serve, I am committed to the belief that selling a home is only part of the picture. I market your home on the first pages on the Internet so you are found by thousands of home buyers throughout the world. If you own a home that you’re thinking of selling, I would be happy to provide you with a FREE no obligation CMA/Home Evaluation. 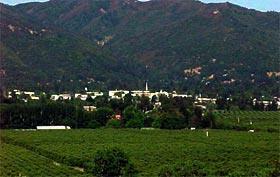 Ukiah, CA is an ideal location to live and raise a family as well as work or own a business. 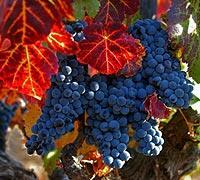 Located in the beautiful Yokayo valley, the county seat of Mendocino County is surrounded by vineyards, pear orchards and the beautiful coastal mountains. Rated one of the top 10 small town to live in the United States and located on the Highway 101 corridor, Ukiah has managed to maintain its small-town feel and yet be a center for culture and business in the north state. Learn More About Ukiah CA including recent sales and current market data. BUYERS: For home buyers I believe that the process should begin with providing a complete picture of the available communities rather than just showing available homes, one after another. After all, if you end up with a pretty home, but find yourself in a community at odds with your personal needs, you have a very poor outcome indeed. On the other hand, if you purchase less than your dream house in a community that is a perfect family match, you may feel you have achieved a great outcome. In today’s competitive real estate market, timing is everything. Many good homes are sold before they are ever advertised. Beat other home buyers to the hottest new homes for sale with our Custom Home Search. Willits CA is a small rural community located on the Highway 101 corridor in the center of Mendocino County and truly is the “Heart of Mendocino County and Gateway to the Redwoods”. Just 140 miles north of San Francisco Willits is rich in history and surrounded by beautiful scenery. Away from the hustle and bustle of urban life, is the slower pace of life that you’ve been looking for. 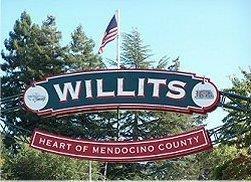 Learn more about Willits CA including recent sales and current market data. Whether you are buying or selling a home, hire someone like me, who wants to earn your business. I invite you to Contact Me as I’d be happy to assist you with this important transaction. In addition, if you have any general questions about buying or selling Ukiah CA real estate, Willits CA real estate or anywhere else in Lake, Mendocino or Sonoma Counties, please contact me as I’m more than willing to help. Please browse my website for listings, reports and important local real estate information.